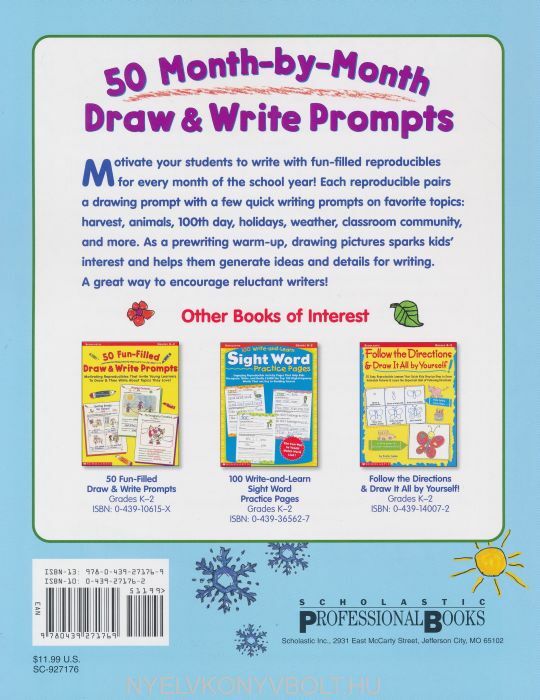 Motivate your students to write with fun-filled reproducibles for every month! Each reproducible pairs a drawing prompt with quick writing prompts on favorite topics: autumn harvest, animals, 100th day, holidays, weather, classroom community, and more. 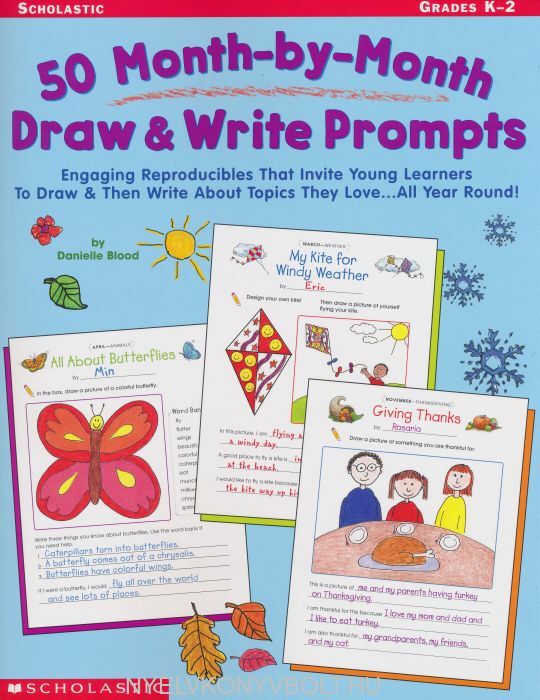 As a pre-writing warm-up, drawing pictures sparks kids interest, helps them generate ideas and details for writing, and makes their subjects lively and real. A great way to encourage reluctant writers! For use with Grades K-2.